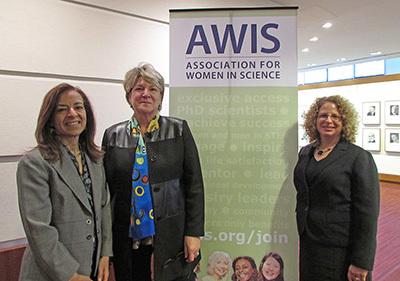 On March 31, the Association for Women in Science (AWIS), in partnership with Elsevier, hosted the 2016 National Summit on Innovation and Entrepreneurship: A Roadmap for Inclusion in Chicago. The summit brought together more than 125 senior-level experts for a national dialogue on the nexus on innovation, entrepreneurship and gender. At the heart of the conversation was the idea that there is much opportunity for progress, but also more to learn. For example, in 2010, small businesses in the US ac­counted for 18 percent of industry research and development (totaling over $40 billion), and employed almost 400,000 sci­entists, engineers, and technicians. However, gender gaps in educational institutions and across industries mean that con­siderable talent is being left out of the innovation enterprise. While much is known about gender disparities in the health and medical sciences, little is known about how these gaps influence and intersect with innovation and entrepreneurship. 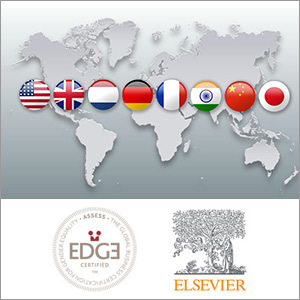 The summit bridges this divide to create new applied knowledge and drive positive system transformation with evidence-based policies and practices. Among science and engineering graduates, men are employed in a STEM occupation at twice the rate of women: 31% compared with 15%. Nearly 1 in 5 female science and engineering graduates are out of the labor force, compared with less than 1 in 10 male science and engineering graduates. 77% of women who have their highest degrees in the life sciences are working in fields that are categorized outside of the life sciences. Women are 47% of the workforce and 39% of the STEM-educated workforce, but only hold 27% of STEM occupations (11% in physical sciences, 53% in biological and life sciences, 13% of engineers, and 22% in computer and mathematical sciences). In addition, many recent studies point out that women remain on the fringes of the tech and biotech booms of the past several years. In fact, a recent AWIS study found that in 2015, there were 73 initial public offerings (IPOs), but only 5 of the com­panies had female CEOs. We also know women file propor­tionately fewer invention disclosures and patents, launch fewer startup companies, and are less successful at attract­ing venture capital and angel funds. 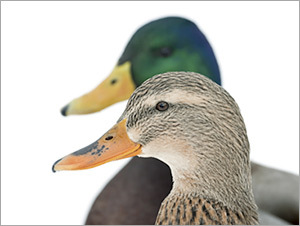 Simultaneously, we are seeing that companies with more women in senior lead­ership positions appear to have better economic practices and developments. The gender gap at the CEO level of S&P 500 Companies is not closing. Growth rate for new female CEOs is only one per every two years. Information Technology has the most female CEOs, while Energy, Materials and Telecoms have no female CEOs in the S&P 500. 2015 female CEOs lag male CEOs in terms of tenure by two years. At the end of 2014, the S&P 500 Index had 25 female CEOs. In 2015 that number declined to 21 female CEOs. 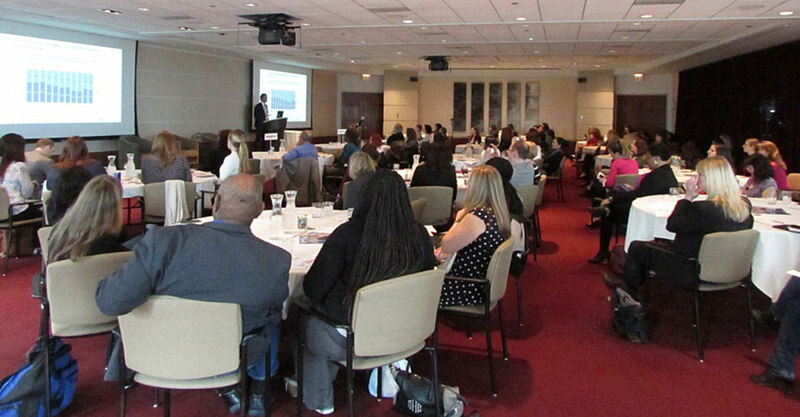 In recognition of this practical dissonance, the summit en­gaged employers, funding agencies, and oth­ers involved in workforce development in research-driven and thought-provoking discussions over the course of four sessions. These conversations aimed to develop expanded models of entrepreneurship and innovation that took into account the experiences, motivations and diverse talents of women and men to drive even greater innovation, discov­ery and economic development. The summit began with opening remarks on setting the landscape for entrepreneurship and innovation by Dr. Holly Falk-Krzesinski, VP of Strategic Alliances for Global Academic Relations at Elsevier, and Dr. Bahija Jallal, President-Elect of AWIS and Executive VP of AstraZeneca and Head of MedImmune. The first session, “The Ideal Ecosystem – Where Does Innovation Happen and How Does It Spread?” included Dr. Alicia Löffler, Executive Director of the Innovation and New Ventures Office (INVO), Associate Provost for Innovation and New Ventures, and Associate VP for Research at Northwestern University; Kapila Viges, Director of EnterpriseWorks; and Karen Wolf, Senior Director of Drug Development Management at Takeda Oncology. In an informal conversation, speakers delved into the research, policy and practical components of innovation ecosystems and how to construct ideal innovation ecosystems elsewhere. Pavle Sabic, Director and Head of Market Development for Corporates with S&P Global Market Intelligence, focused on big data, gender and diversity. In his presentation “How Times Have Changed: CEO Gender Gap Analysis Of The S&P 500,” he discussed the economic opportunity cost for female CEOs as their median tenure is four years compared to six years for male CEOs. After presenting other findings from S&P’s analysis, he concluded that companies must reflect their customer base and that there needs to be a strong pipeline of female talent in C-suite positions for real change to happen. Over the course of the day, each panel narrowed their focus, zeroing in on the intersection of innovation, entrepreneurship and gender. The second session, “Creating Environments that Foster Innovation: A Roadmap for Inclusion,” included John Flavin, Executive Director of the Chicago Innovation Exchange; Laura Frerichs, Director of the University of Illinois Research Park and University of Illinois at Urbana-Champaign Economic Development; and Katherine Kim, Principal of Spark IP Law. 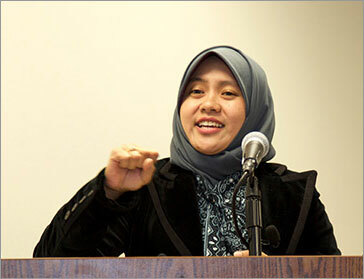 The speakers looked critically at fostering innovation in the workplace and beyond. Discussion centered on the idea that people respond to different incentives in a multitude of ways, and employers are better able to create inclusive STEM environ­ments when they offer a variety of incentives and workplace practices that allow everyone’s innovative ideas to flourish. The importance of university-industrial partnerships was the focus of the third session. “Stimulating Creative Partnerships to Support Entrepreneurial Scientists” included Lisa Durham, Director of the Leadership Institute and Principal Environmental Engineer of Argonne National Laboratory; Barbara Goodman, Senior VP of the iBIO Institute’s PROPEL Center; and Dr. Maryam Saleh, VP of Programs of MATTER. Noting the importance of fostering innovation early on, they examined questions relating to the full scope of the origin of ideas, the state of research, and the barriers facing women seeking to establish themselves as entrepreneurs. Taking an idea from the bench to the marketplace is a long and expensive process that can be overwhelming to early-stage inventors. The fourth and final session featured experts in inno­vative funding models and was moderated by Mark Harris, President and CEO of the Illinois Science & Technology Coalition. Speakers included Anne Sissel, Managing Director of Baxter Ventures; Nancy Sullivan, CEO and Senior Managing Director of IllinoisVENTURES; Nicole Walker, Director of Venture Capital at Baird Capital; and Emily Wengel, Valuations Associate of Silicon Valley Bank. Panelists examined inequities in funding and how bias affects funding opportunities while discussing new, inclusive ways to finance the entire arc of innovation. 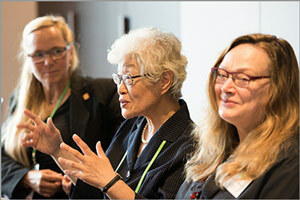 For 45 years, AWIS has been driving change in systems and organizations through advocacy and action. Researchers have demonstrated that a diverse and innovative workforce is needed to advance our nation’s intellectual capital and global competitiveness. AWIS will continue to host dialogues to create new applied knowledge and drive system transformation with evidence-based policies and practices. 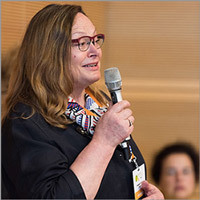 Janet Bandows Koster has served as Executive Director and CEO of the Association for Women in Science (AWIS) since 2006. 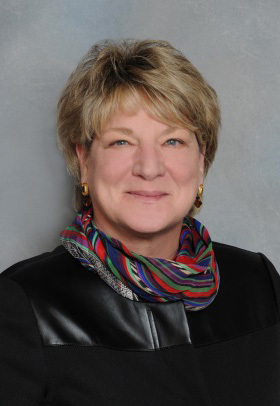 She has over 25 years of experience leading organizations in both the United States and overseas with particular expertise in global gender and workforce issues. 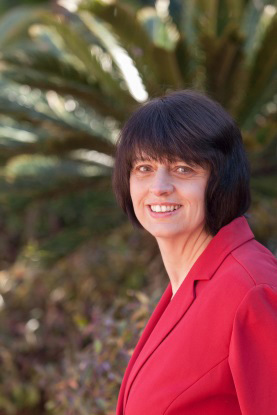 Bandows Koster has authored numerous reports and presented at professional meetings about issues at the nexus of gender and science, technology, engineering and mathematics (STEM). On Twitter, follow @AWISNational. Cynthia Simpson (@clsimpson1) is Chief Business Development Officer with AWIS. Simpson joined AWIS in 2009 and is responsible for developing and overseeing all corporate and institution partnerships for the association. She has given over 100 presentations on the topics of work-life satisfaction, mentoring, communications skills and volunteer management at universities, corporations and professional societies devoted to STEM.